I have it on very good authority (my own) that sources (my ears) have found the next new happening indie-folk group to come out of the UK, and I know just where to find out more, (right here, in this article you just so happen to have clicked on). 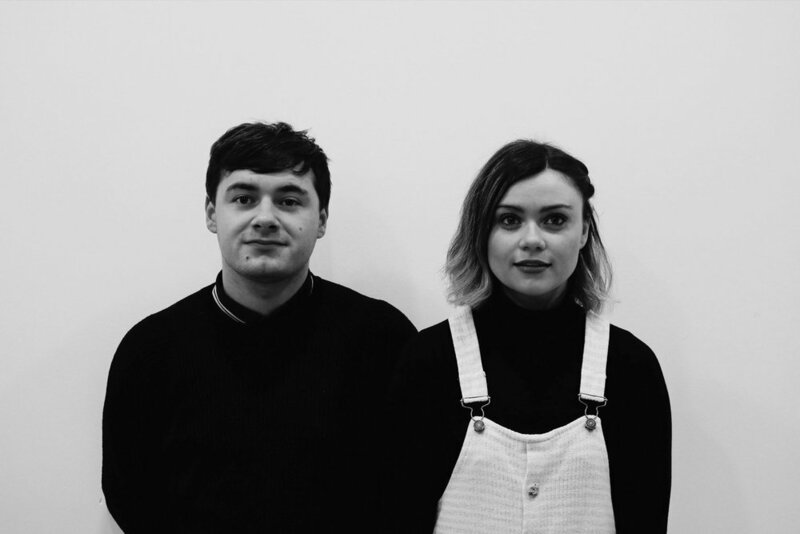 The band in question, the fabulous folk duo Tall Shaves, gave us the amazing privilege of letting Rhapsody in Reverie have an exclusive first listen to their EP, Two for Tuesdays, and quite frankly, we were thrilled. The magic comes from Paige Temperley and Kieran Taylor (who is also a member of The Escapades, a band Rhapsody in Reverie has discussed before). Kieran’s voice acts as a wonderful earthly balance to Paige’s soaring, airy vocals, and together their voices combine into something that flows and surges like a river. It really is a wonderful experience to listen to this group, who, even when singing about mismatched relationships and existential crises that come from growing up, can make me have as good a time as when I’m listening to their songs about true love stories that warm the heart upon listening. Songs like “Breanna From Orillia,” the first song on the EP, are an easy way to get hooked on Tall Shaves’ sound, which reminds me of sunshine in a bottle, and I imagine is what love that transcends borders feels like. And of course, indie folk music lends itself well to the happiness that love evokes. Paige and Kieran do an amazing job balancing the medium with the subject, which gives songs like “Out of Touch” and “Tommy Thumb” a bit of an edge. “Out of Touch” is basically the mental breakdown most twenty-somethings have daily, but they’ve turned it into an absolute bop. I love it when songs get me jamming and feeling good, while the haunting chorus of “We all grow up, as if that’s supposed to mean much / We’re supposed to know where we’re supposed to go / but I still feel so out of touch” lets me know that I am not, by any means, alone in feeling this way on a daily basis. It’s probably one of the most upbeat songs about the subject, and it’s certainly one of the few that makes me want to dance, which may have been the point: dance fast enough and enthusiastically enough and maybe you’ll be able to shake your troubles. Also, who hasn’t experienced a relationship like the one described in “Tommy Thumb,” where someone who’s supposed to love you and, overall, boost you up, does nothing but make you feel childish and beneath them? Plenty of us have, but how many can say that a song on the subject makes them smile and want to dance? Maybe it’s the song’s call to shake off the negative influences in our lives. Maybe it’s me reading too much into it. It’s a great slow jam either way. “Waking Me Up” returns us to the unapologetically optimistic style at the start of the EP. It’s a rousing celebration of love, using the backdrop of waking a loving significant other from sleep as an affirmation of love in a relationship. This is one I’d be the most excited to hear live, I think, with the almost call-and-response portion of the chorus, the strong sense of percussion, and the general energy to it. It’s a party in a song, and I’m a little jealous of all their fans in the U.K. who get the chance to dance along to this song in a venue. This EP showed so much promise and excitement, I cannot wait for more. Is that greedy considering this is a brand-new EP? I don’t think so. I’m eager to see where Tall Shaves takes their sound, but I’m sure that however it evolves, I’ll probably be dancing to all of it. Tall Shaves will be performing live at Think Tank? Underground in Newcastle upon Tyne on February 1st, the same day their EP “Two For Tuesdays” is released. Listen to Tall Shaves on Spotify here.